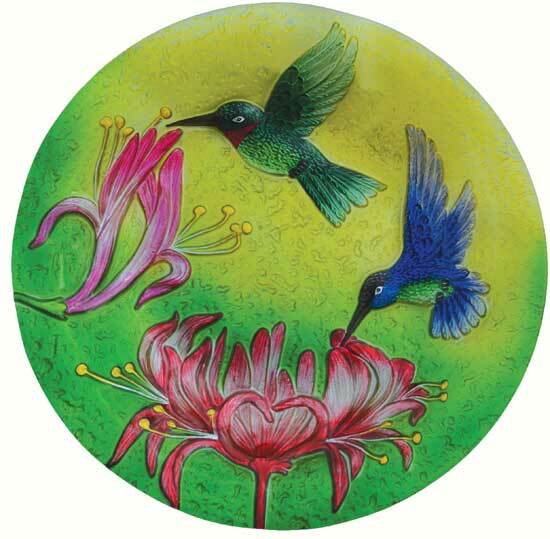 Fluttering Hummingbirds Birdbath. 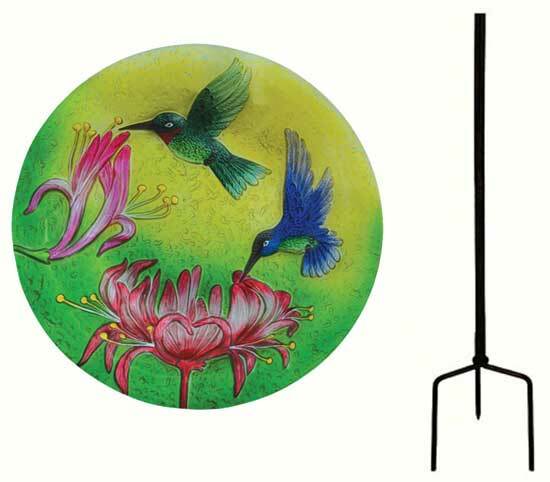 Glass with Vibrant Colors. 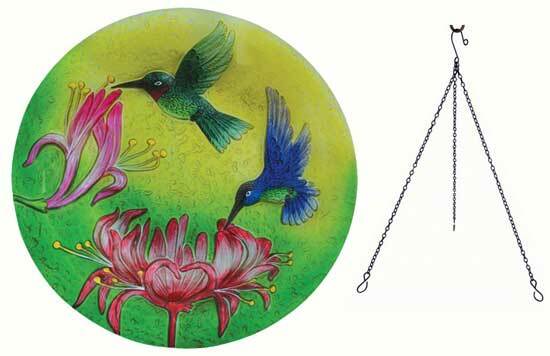 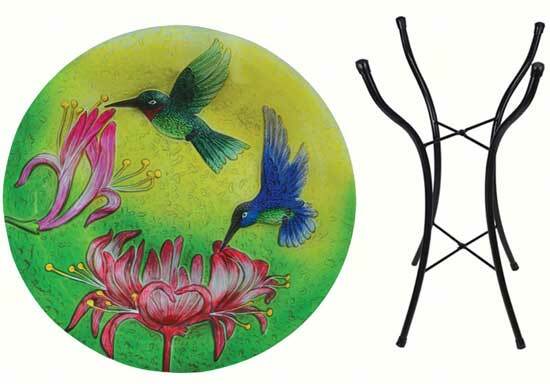 This glass fluttering hummingbirds birdbath features beautiful and vibrant colored hummingbirds fluttering at flowers.